Fuzzy Critters: An Interview with Paul Zain, CTO of PeopleCorp Gaming Article - Free Casual Games! Rate this Article Learn more about what Fuzzy Critters is all about from the CTO himself, Paul Zain! 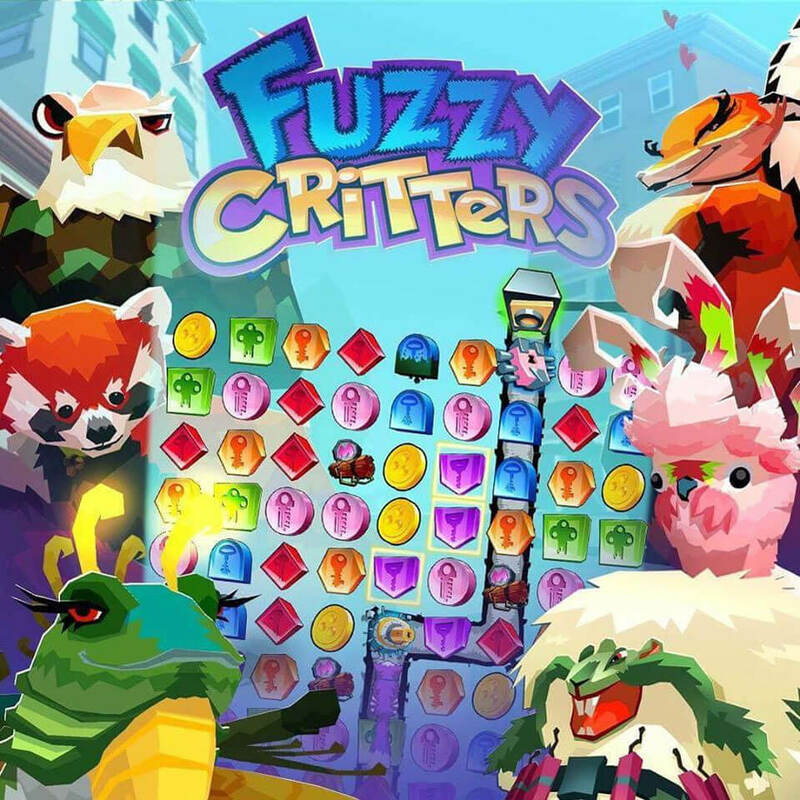 We were given an opportunity to have an email interview with Paul Zain, the CTO of PeopleCorp Gaming, to discuss about their latest niche-hit match-3 game, Fuzzy Critters, and naturally, we seize this chance to learn more about the game we've come to love! Q1. Match-3 puzzle games are a dime a dozen on the mobile platform, what makes Fuzzy Critters different from the rest? Besides our offbeat approach to design, which in itself brings a fresh feel to the genre, we offer a unique peer-to-peer dueling system where players can engage with each other for fun—and now win cash prizes with our recent update. Q2. How did your team manage to come up with such a distinctive idea for the game design? We strongly feel that great games are best experienced with others, so we wanted to take this idea to the match-3 genre and provide a platform where puzzle game fans and competitive types can meet and play each other. Our goal was to merge a best-in-class match-3 product with an online multiplayer component to create an experience that is exciting and different every time you play. Q3. Is there also a way for players to earn a new pet for free? Sure, we even give away pets for reaching certain levels in our single player campaign. We also have achievements throughout the game that award jade for completing specific tasks. Jade can be exchanged for any of our wide selection of pets. Q4. I haven’t had the chance to try the Trick Boost which is available in Duel modes myself, but from what I can see, this boost can give the spender a strong advantage in the game’s multiplayer matches. If that’s the case, wouldn’t this be unfair to the free-to-play players? If not, why? To start, free-to-play users are actually given a substantial portion of jade to use as they see fit, including for the purchase of trick boosts in the various duel modes. We’re constantly monitoring our player experience to ensure the game is balanced and will continue to make adjustments as we see fit to keep the game fair and fun—including for those players who prefer not to spend money in the game. Q5. Due to the challenge posed, especially by the boss levels, in this game, I daresay many players are stumped at a boss level or the other. What advice or special tips would you give to these players? Persistence is key. It wouldn’t be fun if you breezed through all the challenges the game has to offer! My advice would be to carefully leverage your tricks to augment the playing field when you hit a wall, and to follow us on Facebook for more useful hints for boss levels. Check us out at: https://www.facebook.com/FuzzyCritters/. Q6. Are you planning on bringing Fuzzy Critters to PC? Namely, Facebook and/or Steam? If you do have plans, when will the game be released on PC? While we love PC and made our roots on that platform, we’re a mobile-first company and currently have no plans to release Fuzzy Critters beyond that ecosystem. Q7. Is your company working on any new and exciting projects (for other games) right now? Will you be able to give us a sneak peek? We have a number of ideas and research phase concepts underway. Of those ideas, only the best will eventually manifest into a commercial product. Our goal is simple: build games that are not only fun and easy on the eyes, but also innovative. In today’s fast paced mobile economy, that is a tall order, but we will meet it! Q8. Is there anything you’d like to add? I would encourage anyone who is a fan of puzzle games, match-3 and/or cash competitions to give Fuzzy Critters a try. They’ll be pleasantly surprised by our innovative approach to weaving these elements together into an experience that will leave them wanting more. No other company offers cash prizes for match-3 competitions and we’re delighted to share this our users. For more information, visit http://fuzzycritters.com/. Don’t forget to follow along on Facebook and you can download the app for yourself from the Apple App Store or Google Play Store.